Backed by an arsenal of strong reviews and a well-executed marketing campaign, Fury managed to steamroll its way to the top of the box office, flattening a handful of new releases and dropping Gone Girl to second place. I think I’ve shelled you with enough tank metaphors in that opening sentence. 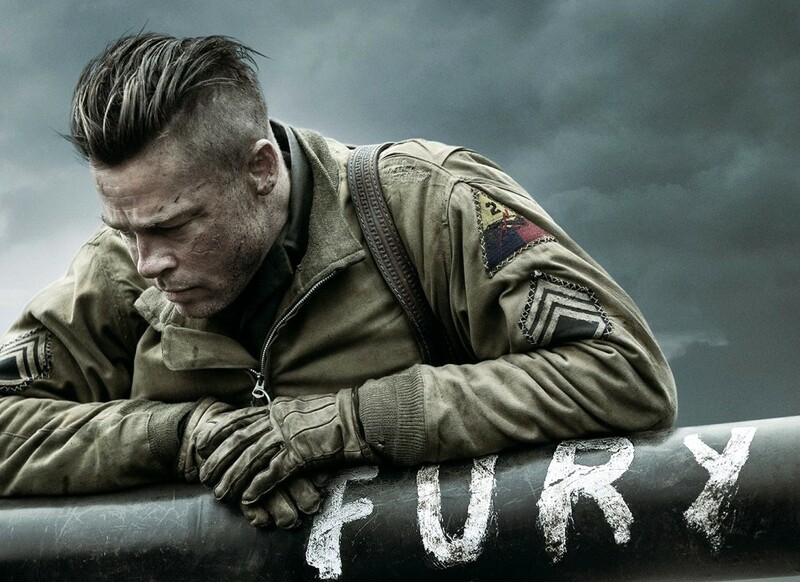 David Ayer’s World War II tank flick starring Brad Pitt and Logan Lerman scored a solid $23.5 million opening weekend total. The audience was predictably mostly male (60%) and skewed to the over 35 crowd (51%). The A- Cinemascore rating should keep Fury in the top ten for a while, especially if it picks up early award season recognition. Despite dropping to second, Gone Girl had another strong weekend pulling in $17.8 million and raising its domestic total to $107 million and $201 million worldwide. Opening third was the new animated feature from Reel FX. The Book of Life brought in $17 million which is slightly higher than their first film, Free Birds ($15.8 million). Disney’s Alexander and the Terrible, Horrible No Good, Very Bad Day eased into fourth with $12 million and has earned $36.9 million through ten days. The critically panned new release The Best of Me rounded out the top five with a disappointing $10.2 million. The total marks the worst debut by a Nicholas Sparks movie adaptation. Moviegoers were predictably and overwhelmingly female (70%) and skewed young with 56% under the age of 25. After a solid second place opening weekend, Dracula Untold tumbled to sixth with $9.9 million. Internationally, Dracula Untold remained strong adding $22.5 million for a new international total of $95.7 million. The Judge took seventh with $7.94 million with fellow Warner Bros. title Annabelle a shade off in eighth with $7.93 million. Holdovers The Equalizer and The Maze Runner rounded out the top ten with $5.4 million and $4.5 million, respectively. Internationally, Guardians of the Galaxy climbed back to the top, adding $23.1 million to its new international total of $405 million. China accounted for $22.3 million and has earned $69 million thus far. Guardians has now grossed $732.6 million worldwide. Tags: Birdman, box office, brad pitt, David Ayer, Derrick Deane, entertainment, film, film news, Fury, Gone Girl, Logan Lerman, movie news, movies. Bookmark the permalink.